The plural foundations of contemporary legal orders of the western legal tradition are experiencing an ongoing and increasing process of consolidation and development. The well established principles of unity and uniformity of jurisdiction is consequently affected and challenged, thus producing significant consequences on the organization of the judiciary and on the role of its highest courts as well as on the consistency of the rules to be interpreted and applied. The Research Project JPs aims at exploring the impact of the plurality of pluralisms on basic features of the judicial organization and function, analysing ways of accommodation so far experienced and attempting to draw some insights from the coexistence of different legal traditions within the same legal order, whether it be a nation-state or an international or supranational jurisdiction. The JPs Project started in 2013 as a project of national relevance (P.R.I.N.) funded by the Italian Ministry (MIUR), coordinated by Roberto Toniatti, Professor of comparative constitutional law, University of Trento and carried on by research units located in several Italian Universities (Bari, Calabria, Naples 2, Naples Parthenope, Trento, Trieste, Turin, Udine). Since the end of the national project (2016), research under the JPs Project continues as a Trento University -centred permanent activity and its international network of individual and institutional partners. The Research Project further aims at developing a systematic account, developed through a comparative methodology and including the relevant taxonomy and models, on the modes and instruments (structural, functional, procedural, conventional) through which distinct legal orders strike a balance between, on the one hand, principles of unity of jurisdiction and uniformity in case-law and, on the other, different forms of pluralism incorporated in the legal orders. This account will ultimately facilitate the definition of a notion of ‘sustainable pluralism’, in an historical period in which pluralism is gaining momentum and appears ever more interactive and consequential. 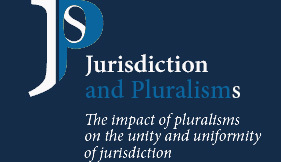 In such a dynamic context, the notion of sustainable pluralism, as reflected in the structures of jurisdiction and in case-law, assigns to the law the important function of including a multiplicity of facets associated with human and social reality, so as to contribute to the safety of society (Horizon 2020). The JPs Project is open to the cooperation of all those scholars who might be interested in contributing to any of the research tracks, by producing scientific materials to be published in The Pluralist Papers. Submission of contributions (in English, French or Spanish) by younger researchers from any part of the world is particularly welcome.